Mary Washington Healthcare Regional Cancer Center earns Novalis Certification with completion of independent review performed by third party panel of experts in radiation therapy. Novalis Certified demonstrates MWHC Regional Cancer Center’s ongoing commitment to patient safety and treatment quality in SRS and SBRT. “At the MWHC Regional Cancer Center we strive to go above and beyond standard measurements for quality care delivery, including stereotactic radiosurgery (SRS) and stereotactic body radiation therapy (SBRT),” states John Chinault, MD, Medical Director, Radiation Oncology, MWHC Regional Cancer Center. “Undertaking the Novalis Certified review demonstrates clear commitment that all of our physicians, staff and equipment are operating at the highest level of competency and expertise.” To mark their certification, MWHC Regional Cancer Center hosted a ceremony on Thursday, March 22nd, 2018. The entire MWHC Regional Cancer Center team was in attendance as J.R. Flatter, Chairman of the Fredericksburg Chamber of Commerce spoke about MWHC Regional Cancer Center’s continued commitment to the community. Marie Frederick, Whit Yelverton, and Dr. John Chinault of Mary Washington Healthcare also spoke about how their team’s dedication to quality and safety led them to achieve Novalis Certification. 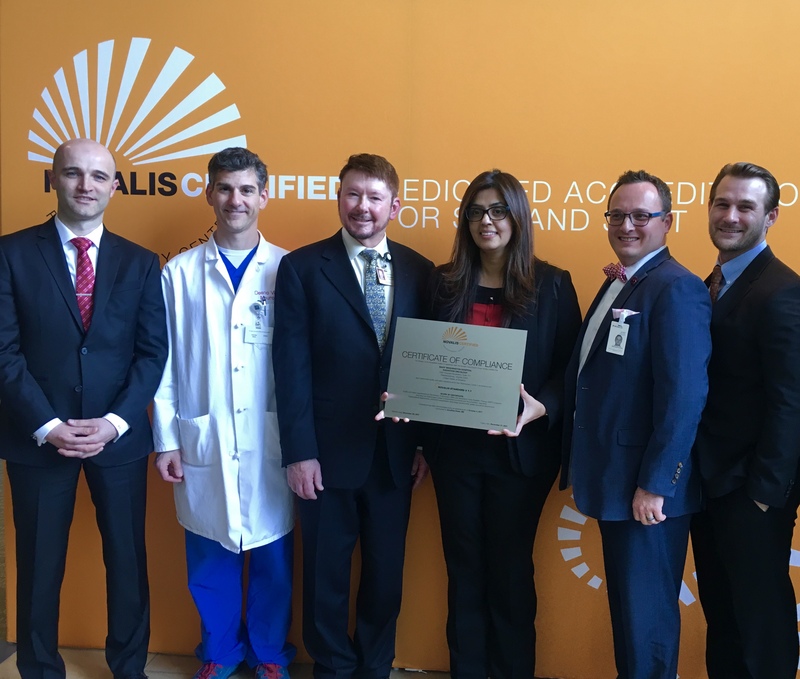 Bogdan Valcu, Novalis Circle and Clinical Research Director was on hand to officially present the Novalis Certified Certificate of Compliance. The Novalis Circle is thrilled to welcome MWHC Regional Cancer Center to the elite group of Novalis Certified Centers worldwide. Learn more about Novalis Certification.